21 Items. Showing Items 19 thru 21. 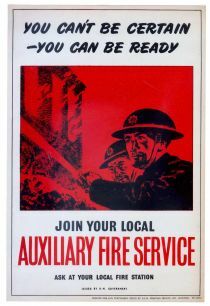 9 5/8” x 14 1/2” British government poster, “You can’t be certain - you can be ready - Join your local Auxiliary Fire Service as at you local fire station.” Image of two firemen at work. Printed for H.M. Stationery Office by G.C.M. Printing Services LTD Leicester. 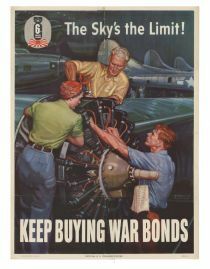 Issued by H.M. Government. Unfolded. Overall very fine.